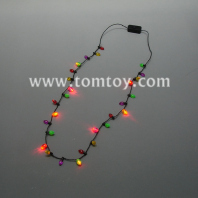 Not only the mini bulbs necklace, we also have the Jumbo bulb necklace and Medium bulb neckalce. 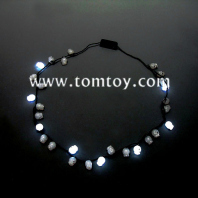 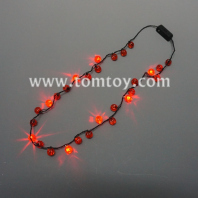 You can find them in Bulbs necklace.Tomtoy mini bulbs are suitable for Christmas, Halloween, Festival and Parties. 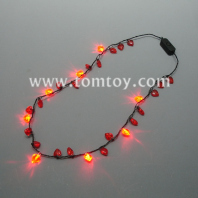 Very Confortable to wear. 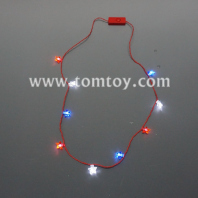 Usually the necklace has 3 flashing function, fast flashing, slow flashing and steady light. 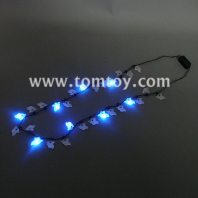 The shape, color,and LEDs is possible to change. 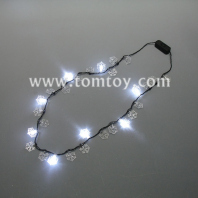 OEM & ODM is welcome.